Remarkable progress has been made in the field of health since the 1990s. According to the UN, “maternal mortality has fallen by almost 50% since 1990”, similarly, 83% of mothers in developing regions were receiving antenatal care in 2012 in comparison to 65% in 1990. Teenage pregnancies have decreased in developing regions, as preservatives are more widely used today than in the 1990s. Moreover, access to retroviral therapy is easier now than it was then and new HIV infections among children have declined by roughly 60% since 2001. A summary of other achievements is listed in this article by the United Nations, and while they are significant, there is still room for growth. By 2030, end preventable deaths of newborns and children under 5 years of age, with all countries aiming to reduce neonatal mortality to at least as low as 12 per 1,000 births and under-5 mortality to at least as low as 25 per 1,000 births. 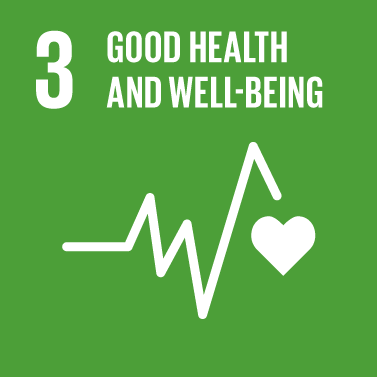 Achieve universal health coverage, including financial risk protection, access to quality essential health-care services and access to safe, effective quality and affordable essential medicines and vaccines for all. Support the research and development of vaccines and medicines for the communicable and non-communicable diseases that primarily affect developing countries, provide access to affordable essential medicines and vaccines, in accordance with the Doha Declaration on the TRIPS Agreement and Public Health. Substantially increase health financing and the recruitment, development training and retention of the health workforce in developing countries. Strengthen the capacity of all countries in particular developing countries, for early warning, risk reduction and management of national and global health risks. Strengthening the health-care system and making it available to all people, especially the poor and those in vulnerable condition sets the pillars for a healthier global society and ensures that no men, women or children will face an untimely death due to lack of access to the medicines they so direly need or basic sanitation practices.